There are a lot of things I love about Thanksgiving: seeing family, delicious food, watching the first snowfall, the Macy’s Thanksgiving Day Parade and, of course, football. What I don’t love about Thanksgiving (besides the hours I usually spend slaving away in the kitchen) is some of the traditional Thanksgiving decor that usually finds its way to the dinner table on Thanksgiving Day. We eat turkey for Thanksgiving — and it’s delicious, but why do people feel the need to decorate with miniature turkeys? They’re not pretty to look at, and autumn has a lot of beautiful options for us when it comes to decor. 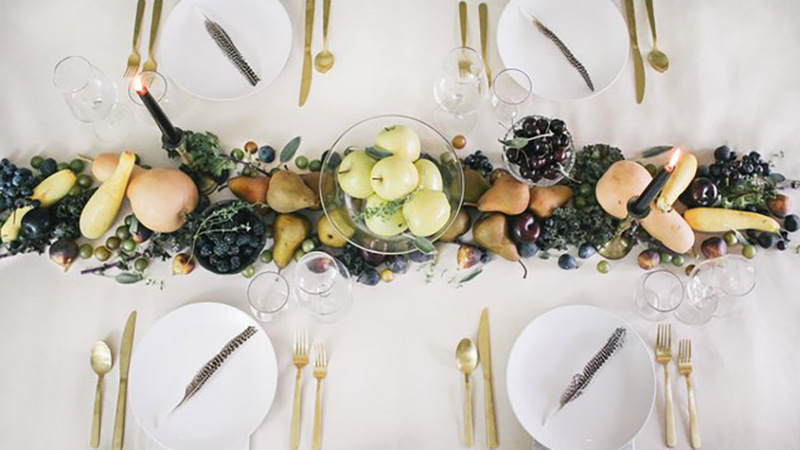 Despite what many people think, a sophisticated and elegant Thanksgiving tablescape is actually pretty easy to pull off, even for the DIY-challenged. 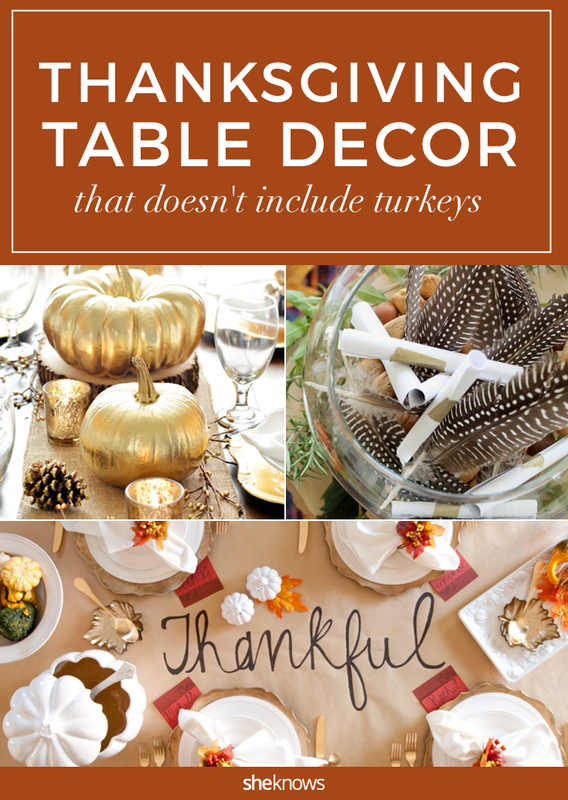 So skip the gobbler when you’re setting your Thanksgiving table this year and decorate with these non-turkey DIYs instead. Image: A Pumpkin and a Princess. 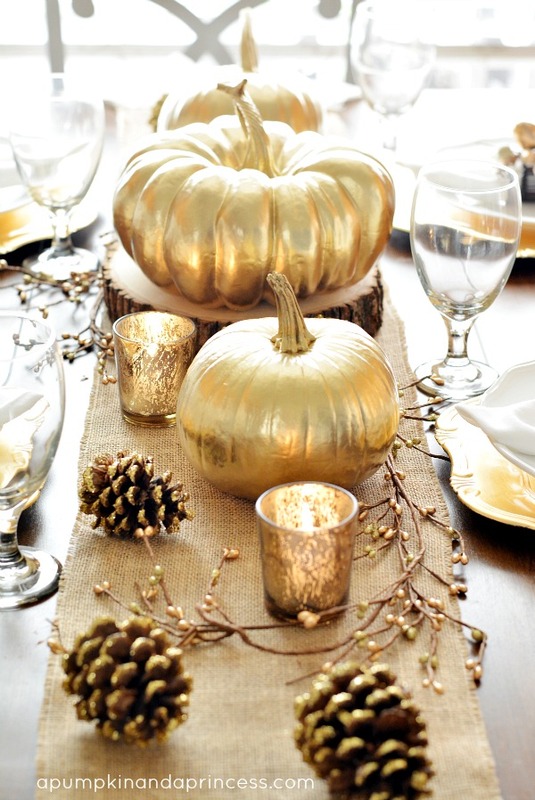 Grab some gold spray paint and transform average pumpkins into stunning table decor. 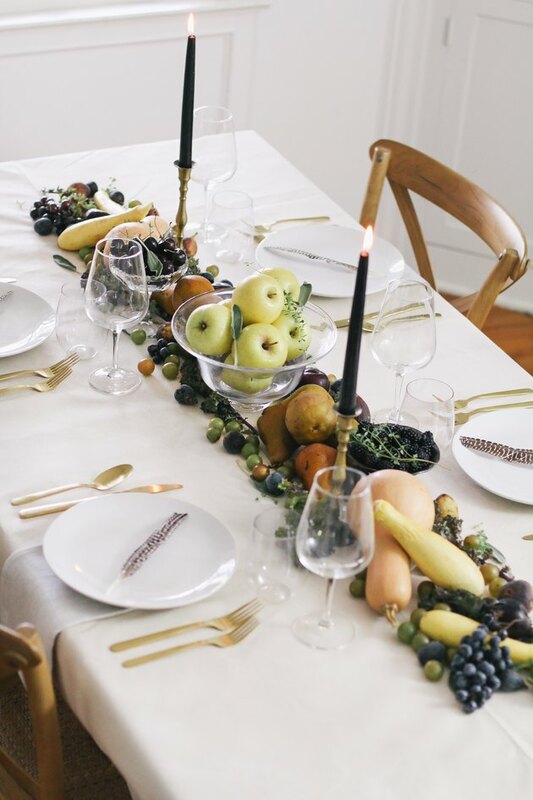 Showcase some of the season’s best fruits and veggies by scattering them down the center of the table. Add some herbs and candles and place some fruits in a bowl to create varying heights. 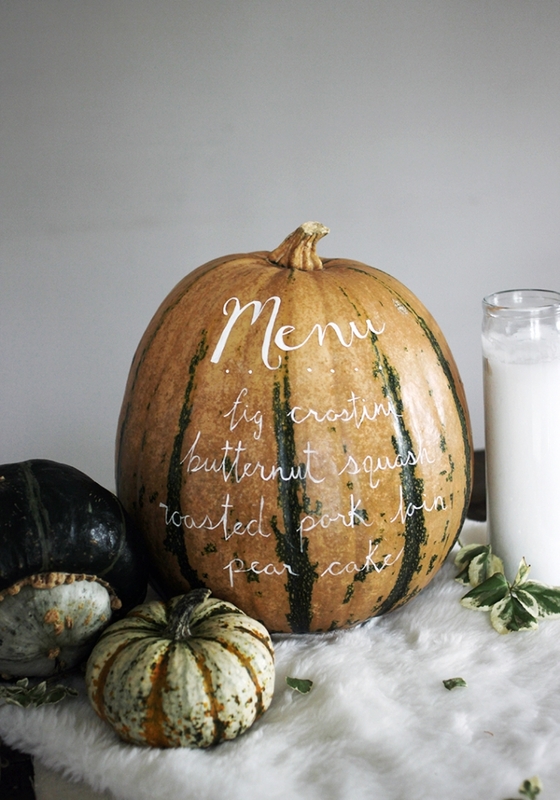 Paint your menu on a pumpkin and watch it double as a centerpiece. Image: Celebrating Everyday Life with Jennifer Carroll. 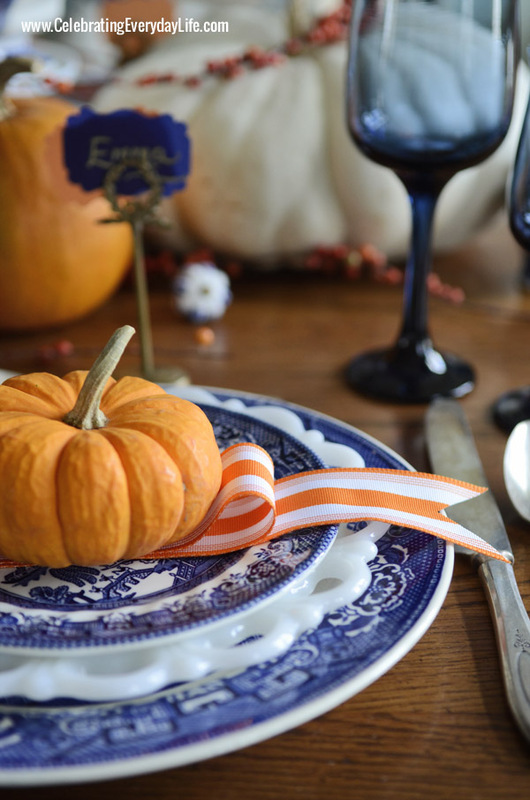 A simple ribbon and a miniature pumpkin make a perfect finishing touch to each setting. 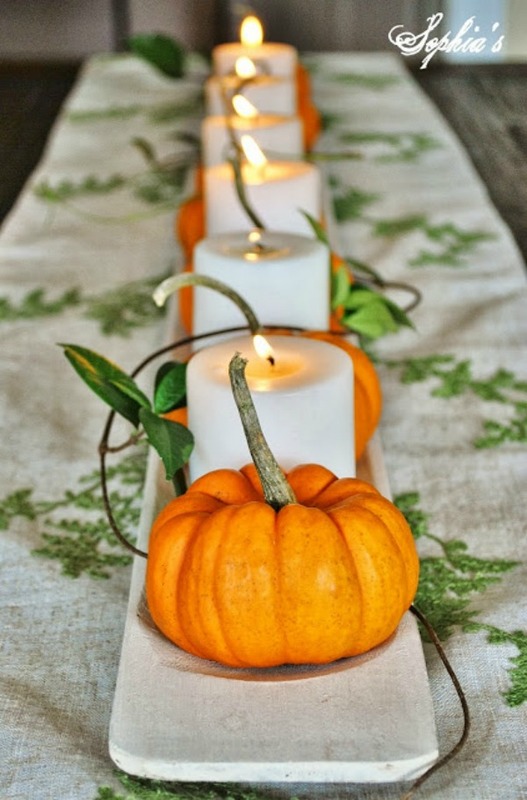 Line a baguette board with candles and mini-pumpkins, and you have yourself a sophisticated centerpiece. 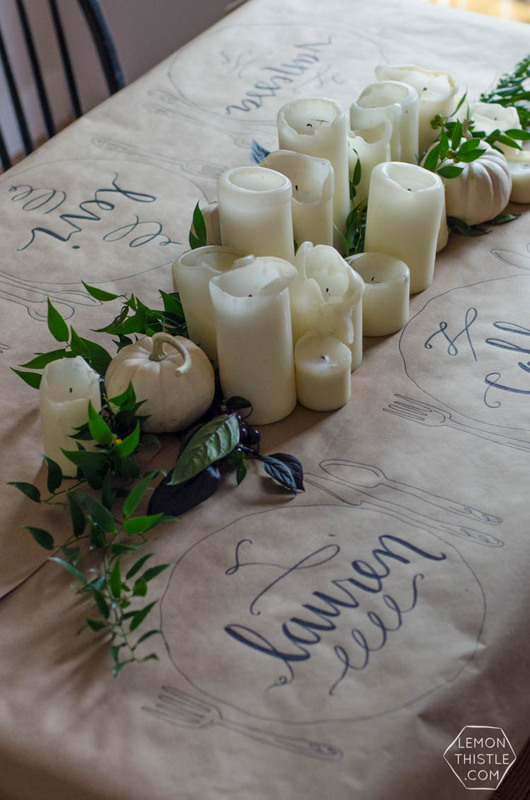 Skip the store-bought table runners and make your own. No worries about stains — this goes in the trash after dessert. 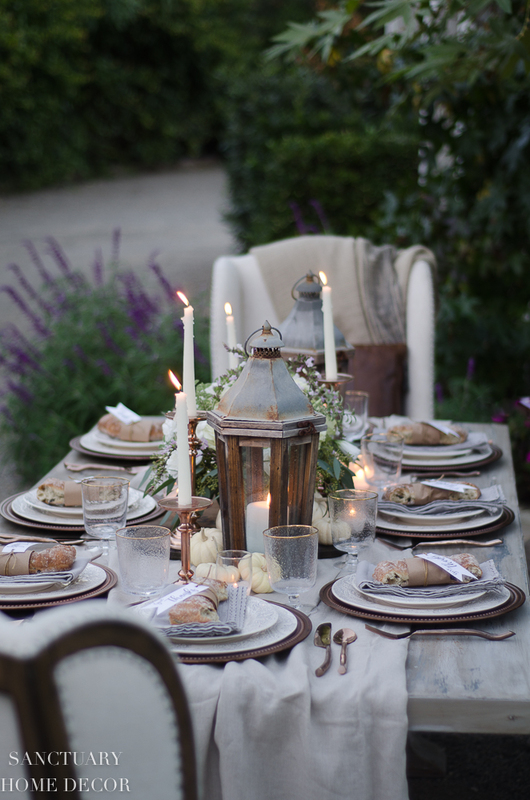 Drape some linen down the center of the table, add some tapered candles, white pumpkins and succulents to the center, and place two lanterns on each end of the table for a super-elegant yet rustic Thanksgiving table. 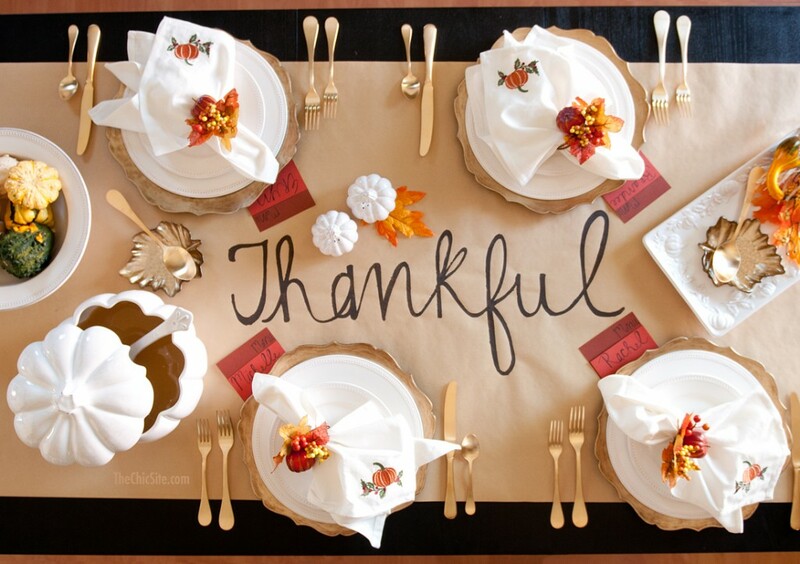 All you need for this rustic table is some craft https://www.lemonthistle.com/friendsgiving-2015-casual-and-organic/or butcher paper and some markers. This is a great craft to designate to kids. Image: A Pumpkin and a Princess, The Chic Site, Hunker. Design: Gabriela Arellano/SheKnows. Don't forget to pin this image for later!